The property is situated in the centre of Malahide village, locally known as the Diamond. Malahide is located between Donabate and Donaghmeade. It is approximately 17km from Dublin city centre. Malahide is well serviced by DART train and commuter bus services. The Diamond is a charming parade of shops and restaurants in an affluent North Dublin Suburb. Notable occupiersin the area include Gibneys, Centra, Boots, Silks restaurant, Bonappetite and Gilbert & Wrights. The property is a corner mid terrace two storey over basement building occupied by Ulster Bank at ground floor and SALE e PEPE restaurant at first floor and part basement. The building is of traditional construction with rendered sooth finish and a pitched slate roof. They property is let on three separate leases. 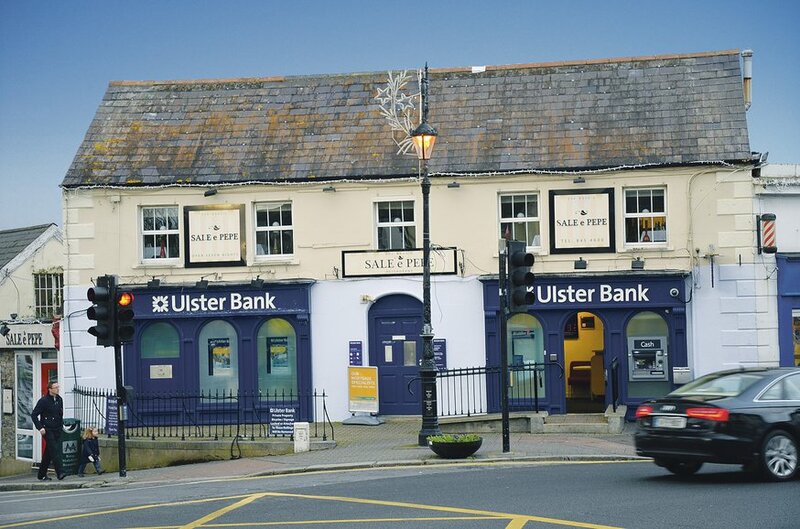 Ulster Bank is let under two separate leases; Unit 1 is leased under a 35 year lease from 1st December 1986 and Unit 2 is let under a 35 year lease from 1st December 1985. The combined rent is €51,000 p.a. SALE e PEPE is let on a 35 year lease from 4th October 1986. The contracted rent is €22,000 p.a. The 4.5 years weighted average is a combined amount for both tenants.